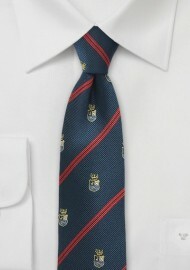 Smarten up your wardrobe in this preppy regimental design from Parsley's new skinny tie collection. Woven in a classic repp texture, this piece features red stripes in the regimental pattern and is embellished with embroidered crests. 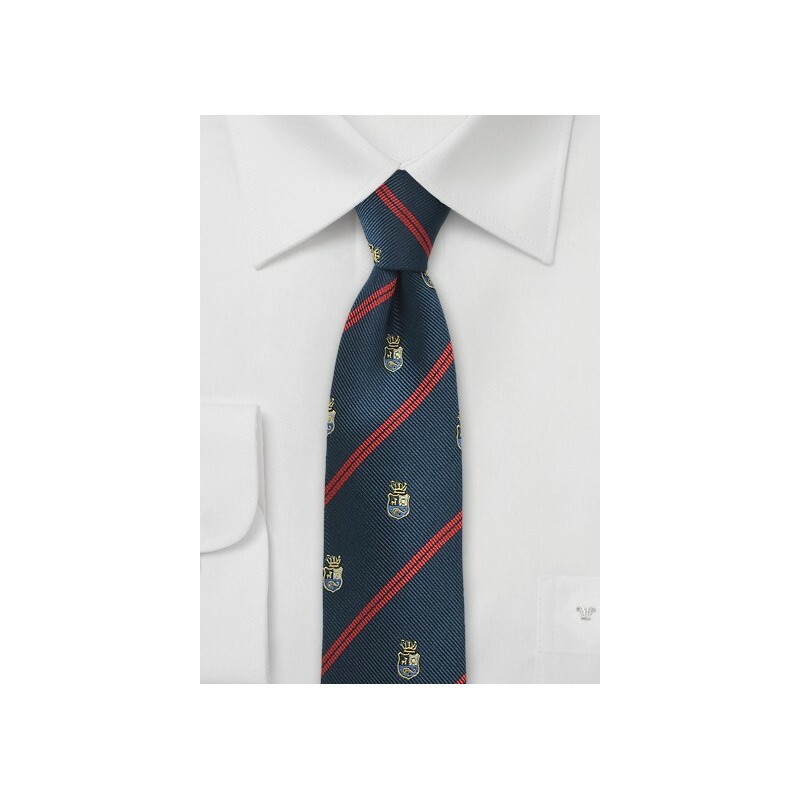 Create an A+ look by matching this piece with navy blazer and a red pocket square. Length: 58", Skinny Width: 2.75"